Did you miss Hazel and Ash last week? Well never fear, they are scheduled to be at the Market this week! 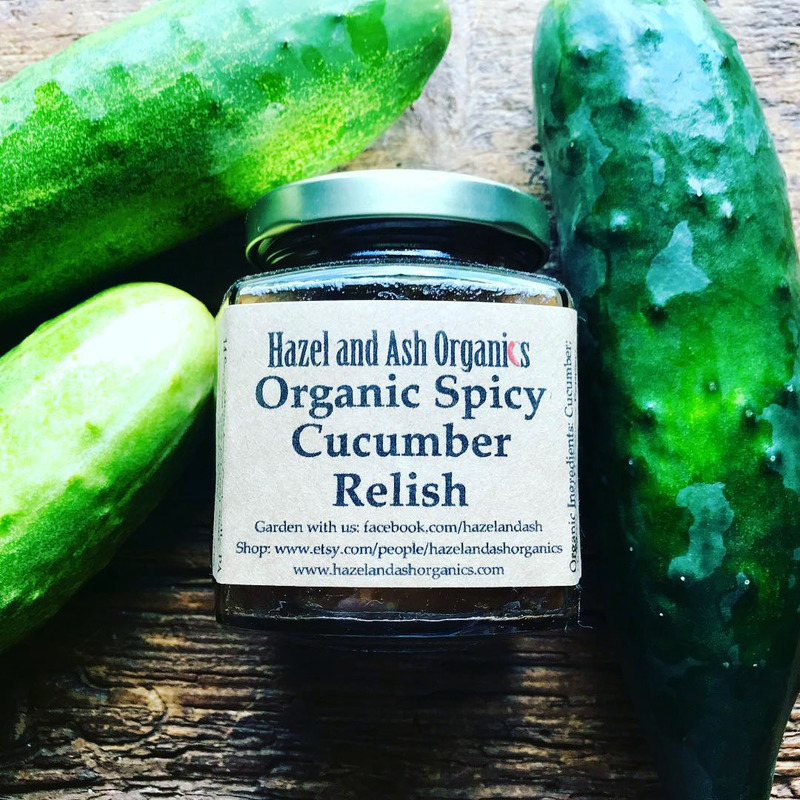 Make sure you come stock up on all their farm-fresh relishes, hot sauces, and other condiments! Fall has arrived at Nether Providence Soaps! 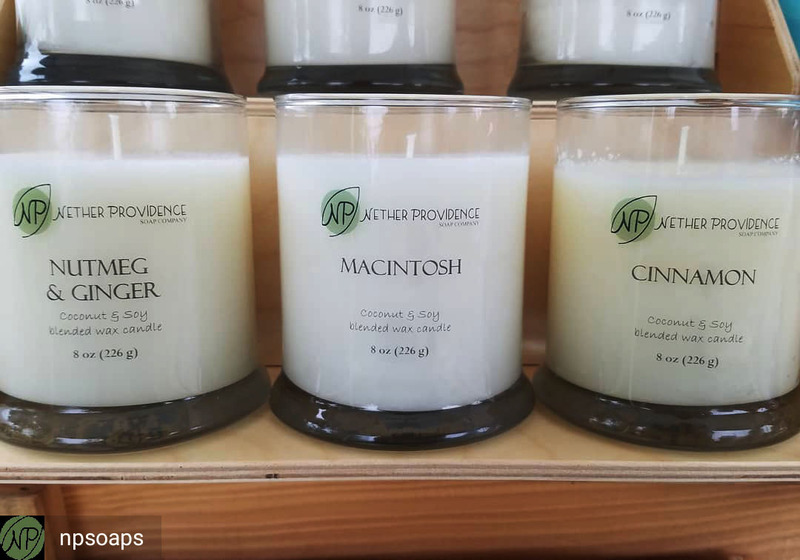 Check out her yummy fall-scented candles. And dont’ miss her new scent of deodorant that debuted last week! Start your day off with the taste of fall! 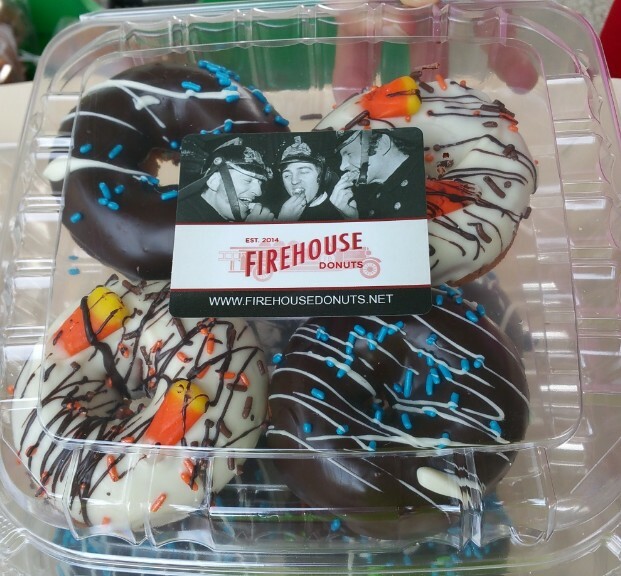 Firehouse Donuts now has fall favorite flavors pumpkin and apple cider! Perfect with your pumpkin spice coffee, apple cider, or even for dessert with some pumpkin or vanilla ice cream! Don’t Be So Dull, Come to the Market! As fall yard cleanup begins, and the harvest and preserving season hits it’s peak, don’t be left with dull blades! 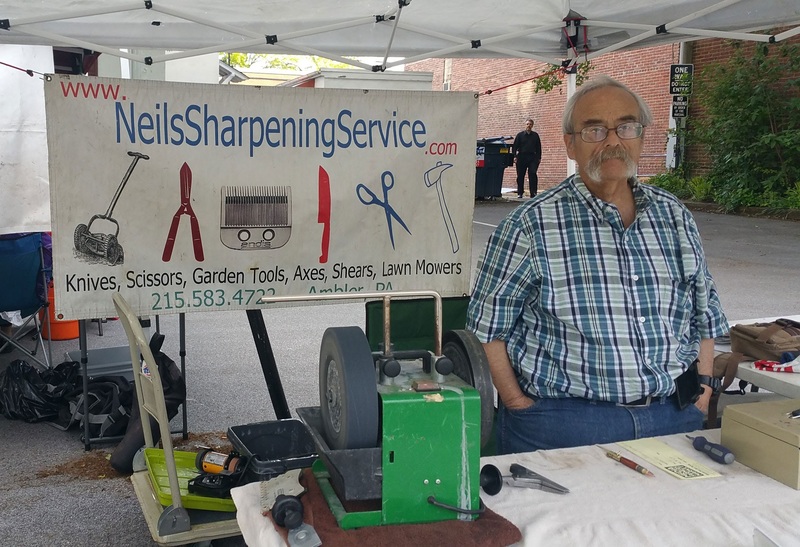 Bring those blades to the Market this week and let Neil’s Sharpening Service get them back into shape. Lawnmower blades, garden tools, clipper blades, kitchen knives, scissors, and more, Neil does them all while you shop! John & Kira’s will be at the Market this week! With many different flavors and fun shapes, they are sure to hit the spot. 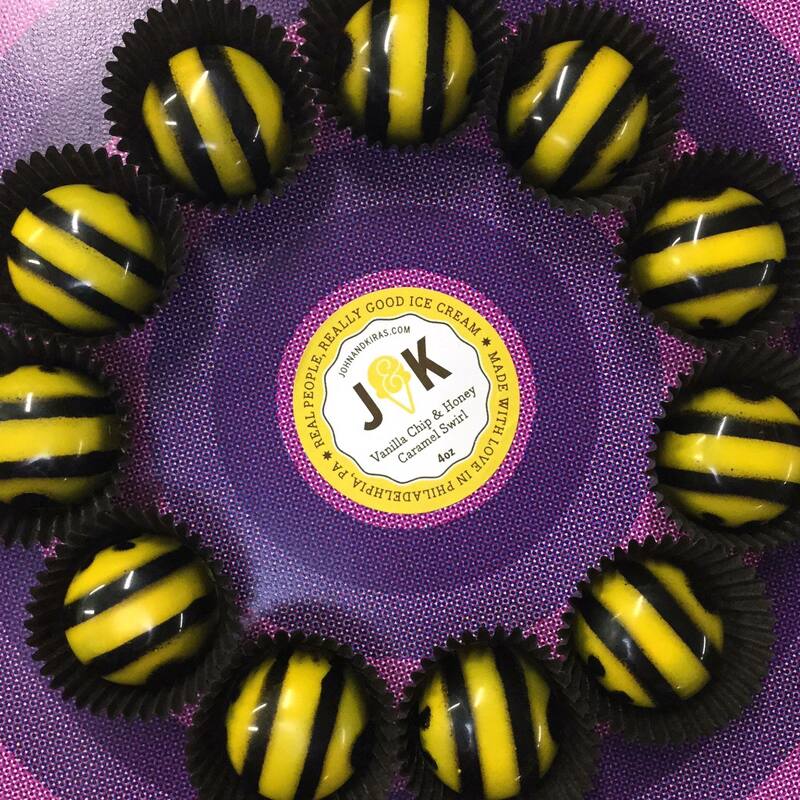 Look for their famous filled bees and ladybugs, or go all out with some turtles or even their chocolate-filled figs! 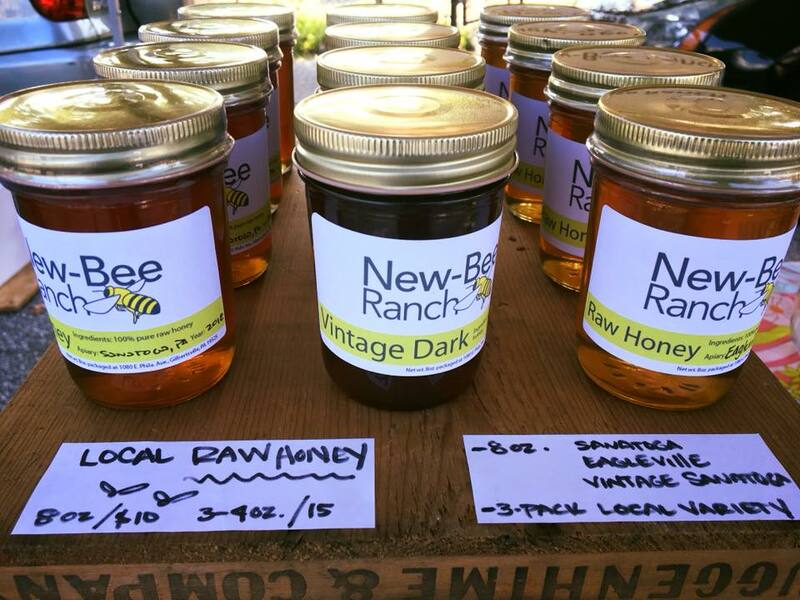 If chocolate isn’t enough, maybe New-Bee Ranch’s local honey will hit the spot! They will be at the Market this week with several varieties of delicious honey. Four-legged best bee buddy Hank may also make an appearance to say hi! It Will Be a Winged Wonderful Market This Week! Winged Wonders will be bringing their monarch butterflies to the Market this week. 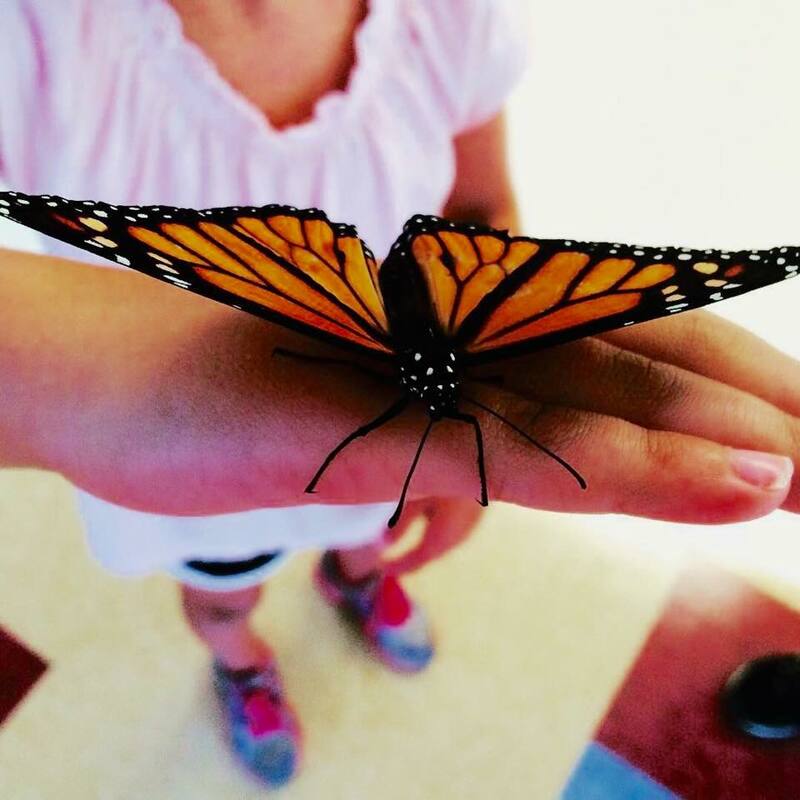 Stop by their tent for the opportunity to interact with the butterflies, then participate in a monarch release! Winged Wonders is weather dependent, so rain or winds may prevent their attendance at the Market. 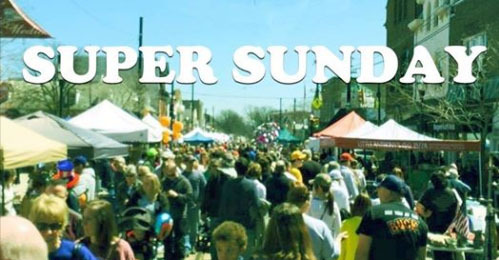 Super Sunday will also be held this Sunday. After being cancelled last week for rain, it was rescheduled for this week. So stop by the Market for your veggies and goodies, then make sure you wander up State Street to check out all of the wares out on the street! The Great Media Garage Sale will also be on Sunday, so make sure you also check out the residental areas of Media to find your next treasure! Sunday’s forecast looks pretty good as of right now – mostly sunny and 81. But if rain does move into the area, don’t forget that the Market is rain or shine! Not all scheduled vendors may be at the Market if it is a rainy day, but the Market will set up. In the case of dangerous weather, such as lightning, we will close. Please stay tuned to our Facebook pagefor any last minute weather updates. Fall Flavors Begin at the Market! Virtually Visit the Apple Orchards! 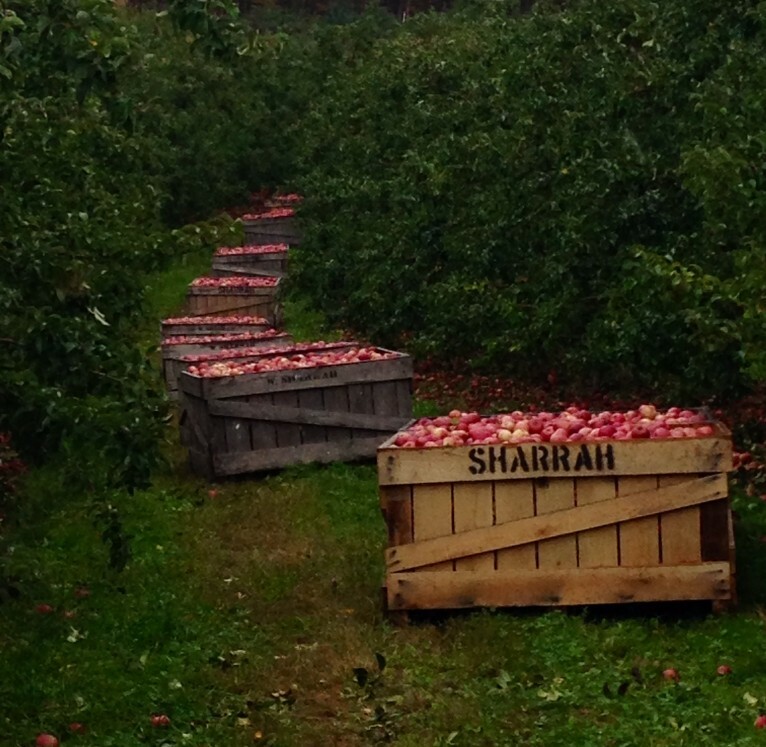 Sharrah Orchards is now on Facebook and Instagram! Make sure you follow both accounts to see this amazing family farm. Located in Ortanna, Adams County, Pa; the heart of apple country you can now share in the growing and harvesting of multiple varieties of apples, peaches, and so much more! L’shanah tovah to all of our friends celebrating Rosh Hashanah. 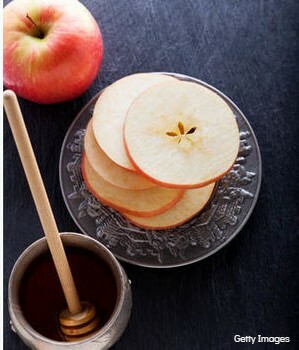 As you prepare your meals for this time, make sure to pick up your apples and honey at the Market! Sharrah Orchards will have several sweet varities to choose from, and New-Bee Orchards will have fresh, local honey to pair with your apples. Best wishes for a happy and sweet New Year! Did you miss maple syrup and donuts last week? Both Whiskey Hollow and Firehouse Donuts were listed as attending in the newsletter last week, but were absent from the Market. But never fear, both vendors will return to the Market this week! 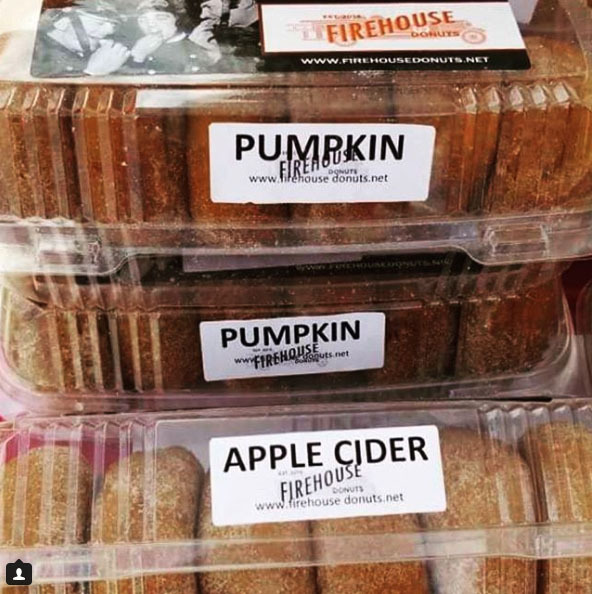 Firehouse will be bringing a new flavor – Pumpkin Spice – and Whiskey Hollow will have a variety of tasty products. Come on out as fall flavors begin at the Market!